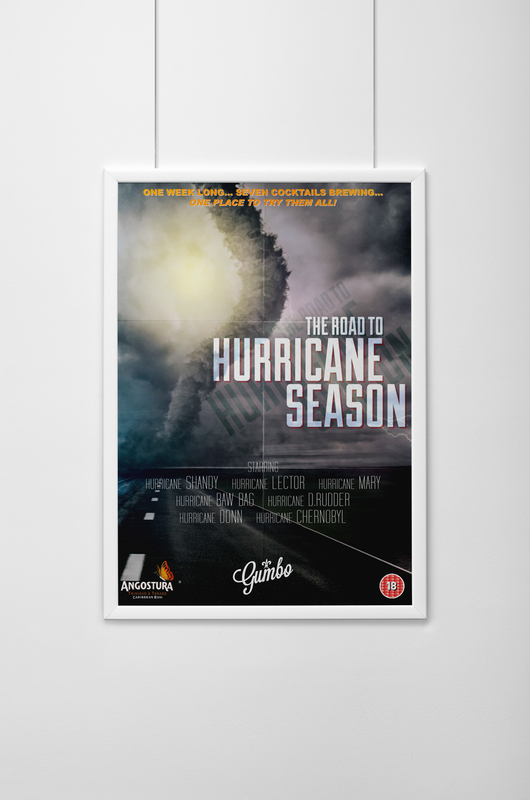 Promotional material created for Gumbo, a popular bar in Glasgow's vibrant West End. Poster and accompanying flyer/menu requested. 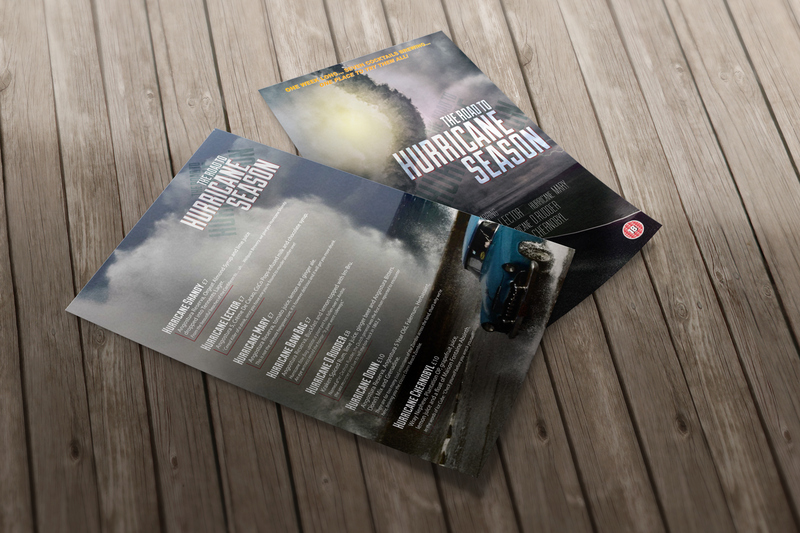 Print-ready files for the Hurricane Season menu. Created in Adobe Photoshop and Illustrator. Mock up of the final design. 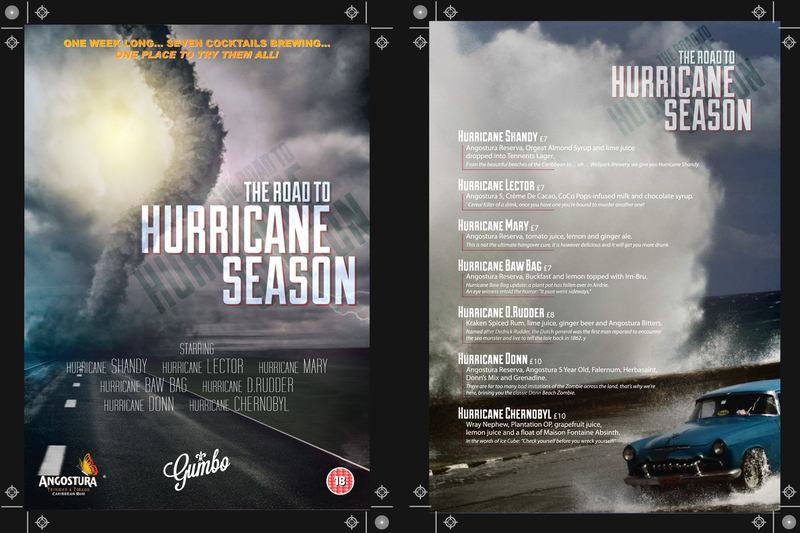 Mock up of the final poster.